Resourceful guide addresses the issues faced by grand jury witnesses and provides expert instruction on how to best prepare clients. 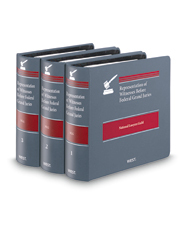 Offers guidance on choosing whether or not to testify, possible contempt charges, grand jury subpoenas and grounds on which they can be challenged, witness questioning in the grand jury room without counsel present, and issues concerning friends or associates who may be involved in the investigation. Covers every step of the grand jury process, from initial attorney-client contact through post-contempt remedies and appeals. Must the witness be warned of the right to assert the privilege? Do the client?s documents come within the privilege if they are turned over to the attorney?